Without much other info to work with, I’d probably suggest a starting point of a CPU with 8 cores/16 threads, and 32 gb of RAM. You could get away with less, but it really depends on what your expectations are for performance, and how many users, and what type of workload you intend to run. Probably need more info, before anyone can really suggest anything specific. Is this just for a home lab to learn/tinker with? Will this be a “production” server? Do you intend to build something yourself, or buy something pre-built? I will build the sever as i,ve built many gaming rigs and pc,s before. I have had server before running win 7 host and two vms in virtualbox (i7 3770 16gig ram) and have converted it to xnp-ng and love the less bloat (lol) and standalone’s running other testing setups. i normally use my old hardware for this but feel its time to see if i can consolidate them (save power and some off it is older than me lol). 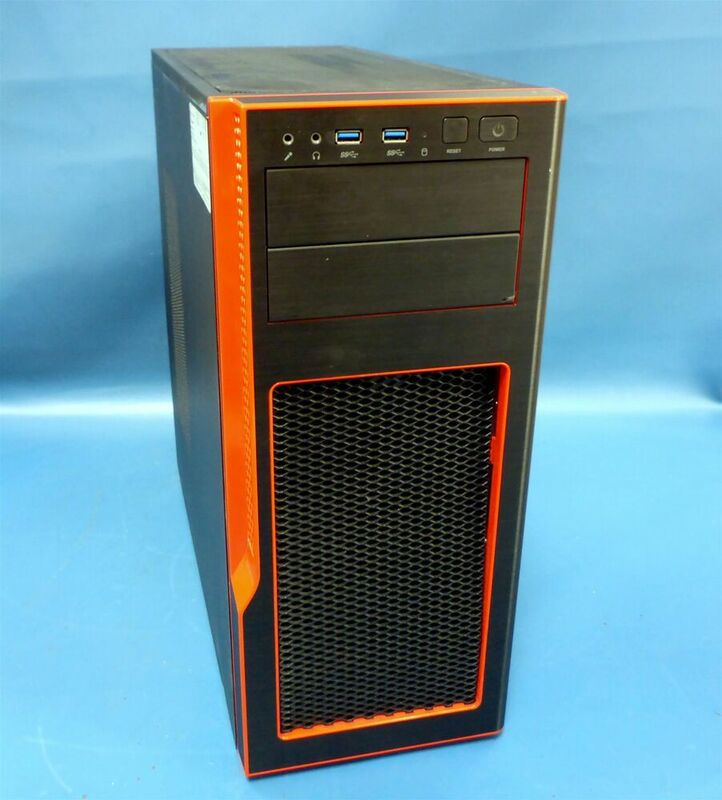 Been looking at hardware for the server and if it was for gaming i would have no problem? FreeNAS is designed to run natively on the hardware and not be vitalized. Also, as a rule moving to newer hardware saves energy as each generation of systems provides better processing power per watt. The other thing to consider when building is that running your firewall virtualized means it needs to start before the other VM’s if it is handling DCHP and if there is a problem with the VM system you internet quits working. After watching your video here on xcp-ng and using the script in there i managed to make my server boot in the order needed(almost wife proof when it goes down!!! turn off and back on again when i,m not there lol). Thanks regarding the info on freenas was wondering if i could do that or not? might need to make that a separate box for storage? I was thinking amd rizan 1700 or 2700 because of the core count but low wattage? Is there any gotcha’s using amd as i’m used to intel for gaming? I purchased a Dell R410 from eBay and it’s been working great. It’s strictly my FreeNAS server for my office, but it came with 2x2TB HGST drives, 32GB of RAM, dual quad core/8 thread CPUs. I paid $190 with shipping for it. I agree with Tom that if you’re going to have a FreeNAS it really needs to be on bare metal. I have a virtualized Server 2012 that I use for media stuff that I really don’t care about loosing. 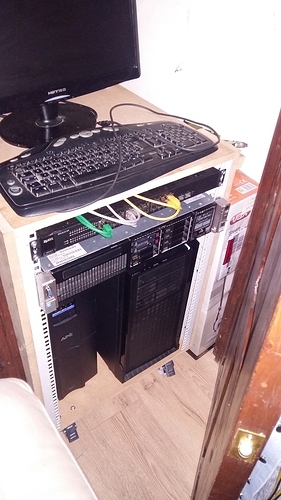 For anything that I don’t want to loose, I have it on the Windows Server, FreeNAS and the cloud. If you want to keep everything in one box you do have the option to run zfs as the local storage for xcp-ng. Personally, I find the Xeon v2 servers on eBay and what not to be the sweet spot at the moment. 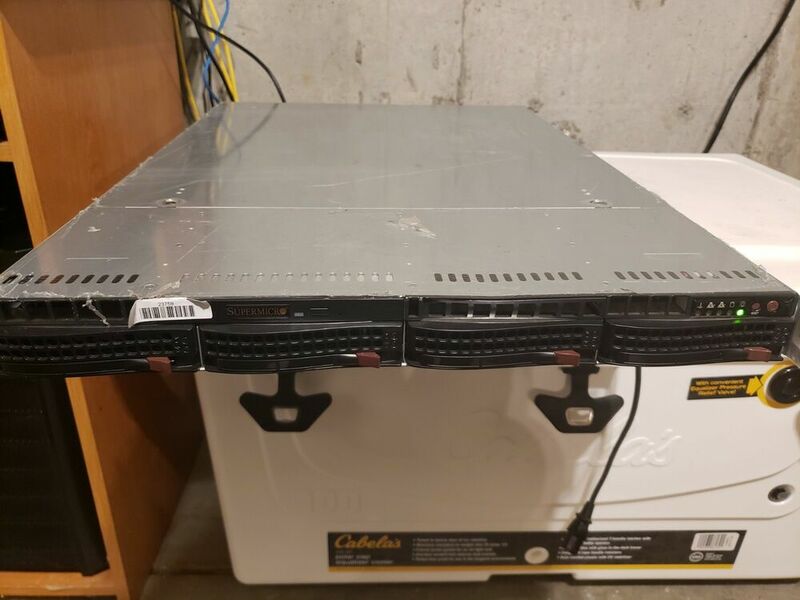 For example this past summer I found a 2 node, 2U server with dual Xeon E5-2660v2s for about $570, 40 total cores plus hyperthreading. Once I added 64GB ram per node I was at $840. To me it’s a steal. I have more processing power than I know what to do with, without breaking the bank. Each node pulls between 75 and 100w depending on the load. I usually only have them both on when I’m applying patches to the hypervisor so that I don’t have to shutdown any of the VMs. I average about 17 VMs running at any given time. I see where you are coming from with buying ex server equipment make sense? bang for buck. Only thing is i would not no what was a good deal or not? I’m in the same boat. 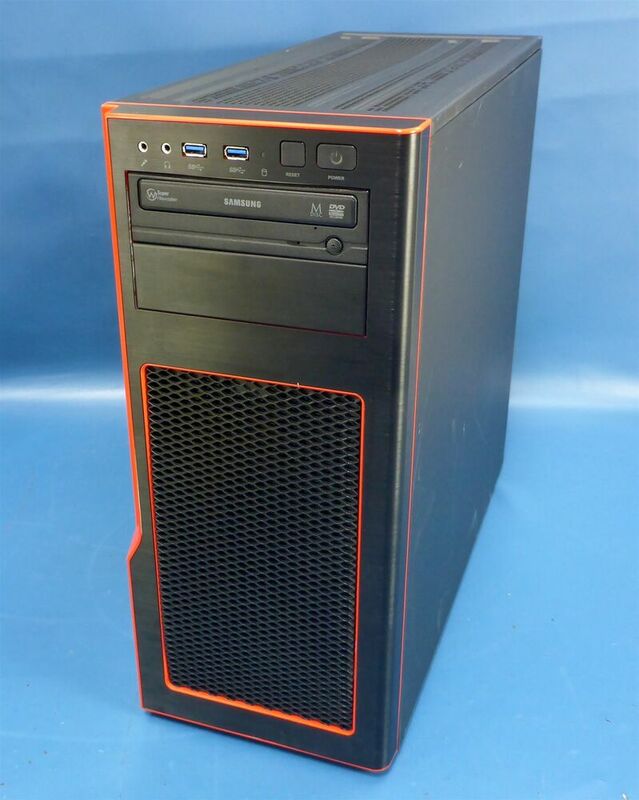 I hear about killer deals (or I assume they’re killer deals), but I can’t find anything even close and I don’t know enough about this hardware to know if what I can find is worth it. One of the best ways I find to know if something is a good deal or not is to look at the price of sold items. 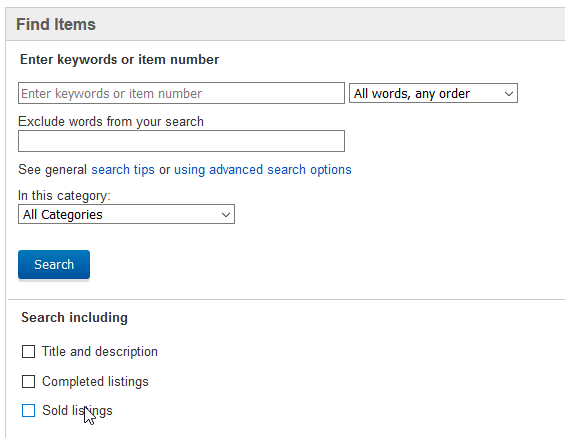 Click on advanced to the right of the search bar you can then click on sold listings to search them. This gives you a good picture of market prices. My question is (and I still don’t have an answer to it) - do I want to consolidate or actually decentralize home servers. My current opinion is dedicated router, dedicated storage if it’s freenas, and everything else in single focus VMs. I have a propensity for breaking things as I learn. It’s really nice to only break one thing instead of everything. Here are some servers I found that look decent. These are probably only SATA II, but would be fine with HDDs for local VM storage. Supermicro 1U 4 3.5" Drive Bays System. 64GB DDR3 ECC REG RAM (16x 4GB - DDR3 - ECC REG). 4x 3.5" Supermicro caddy. 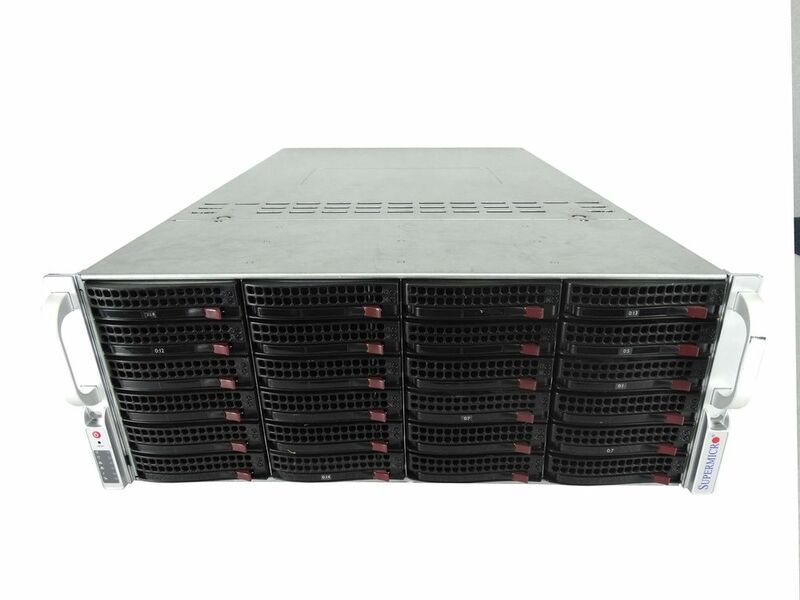 Server Chassis/ Case: CSE-815TQ-R700WB. 2x PCI-E X16 3.0 Expansion slots. PCI-Expansions slots: 2x Full Height PCI-e x16 slot. | eBay! Supermicro 1U Server. Rails Included. 1x VGA / 1x Serial. 4x USB 2.0. 4x Gigabit Ethernet. Onboard IPMI 2.0. X9DRI-LN4F Motherboard. | eBay! 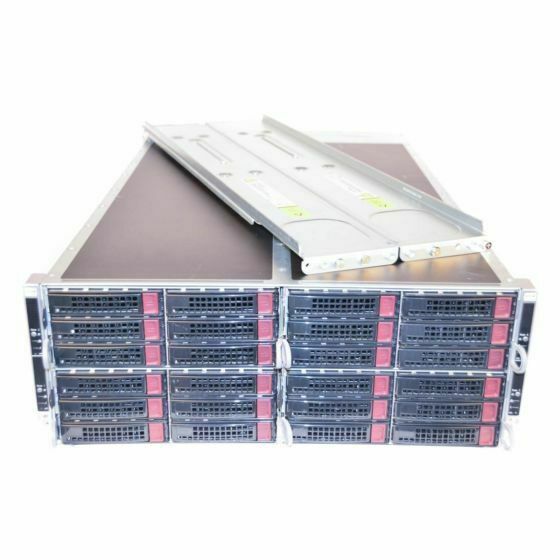 SuperMicro 6017R-N3RF4+ 1U 32gb Mem, E5-2650 V2 x2, No HDD | Computers/Tablets & Networking, Enterprise Networking, Servers, Servers, Clients & Terminals | eBay! If you want DDR4 and don’t care about having IPMI these looks decent. They can be upgraded to Xeon v4’s if desired. SuperMicro GS5A-7 with X10SRA Motherboard. 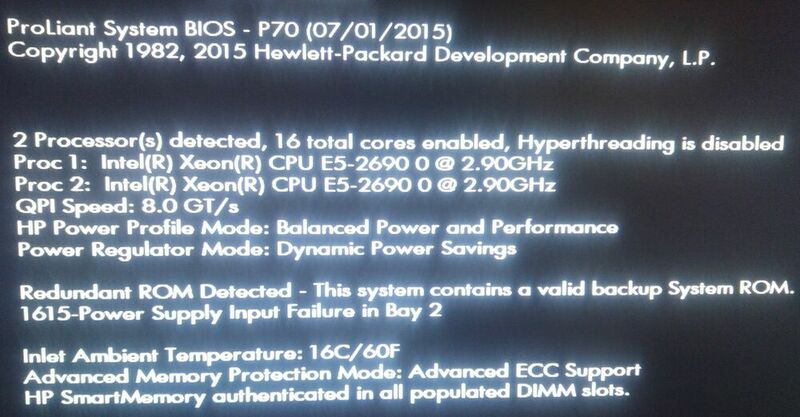 This server powers on and boots to the BIOS without any issues. Hard Disk Drive: SATA (Not Included). Hard Drive Caddy: Included. Optical Drive: Samsung SuperWriteMaster DVD Multi-Recorder. | eBay! SuperMicro GS5A-7 with C7X99-OCE Motherboard. This server powers on and boots to the BIOS without any issues. Hard Disk Drive: SATA (Not Included). Hard Drive Caddy: Included. Optical Drive: Not Included. | eBay! This is an interesting beast if you want separate hosts in one case. Clean pull from datacenter. 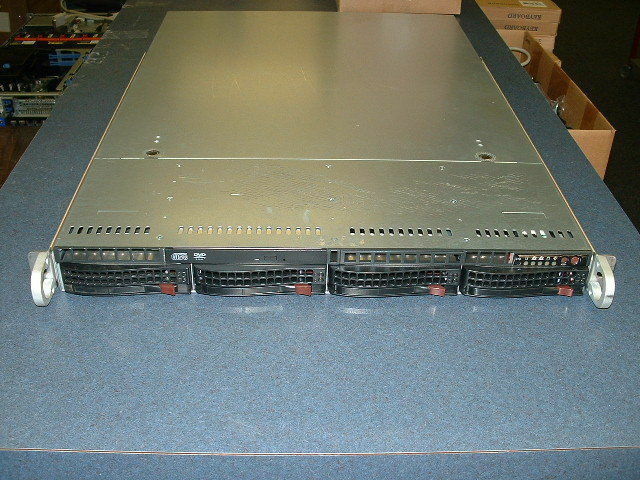 SuperMicro F627R3-RTB unit with with 3 out of 4 blades / nodes. Includes all drive trays, rails and heatsinks. Perfect working order. | eBay! Here are some options for FreeNAS. They should all be SATA III. Supermicro 2U 12x 3.5" Drive Bays. 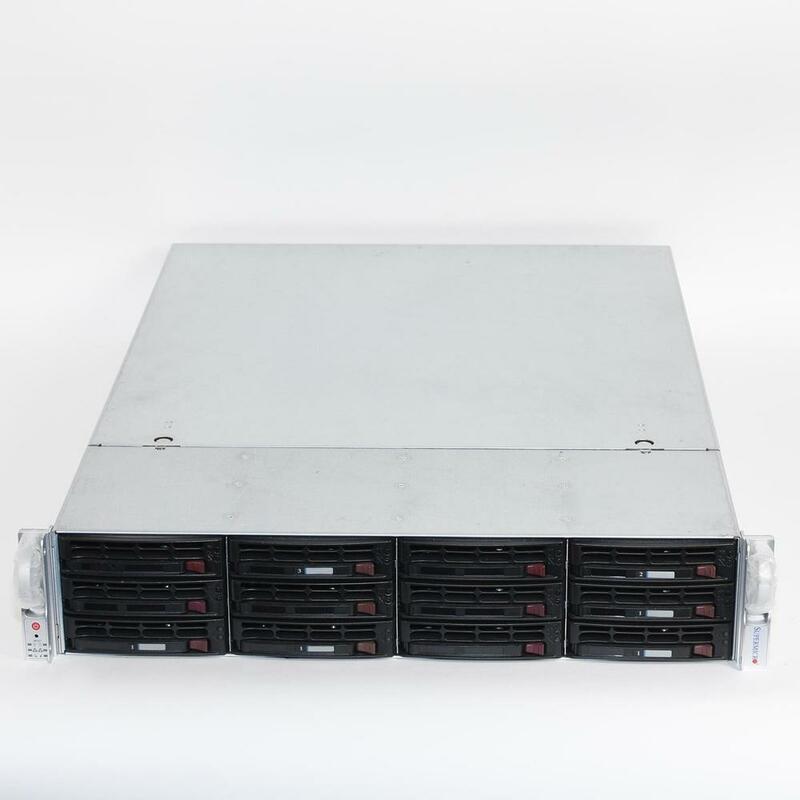 Drive bay: 12x 3.5" Supermicro caddy. Rail Kit: Rail Kit Generic Supermicro 3rd party. 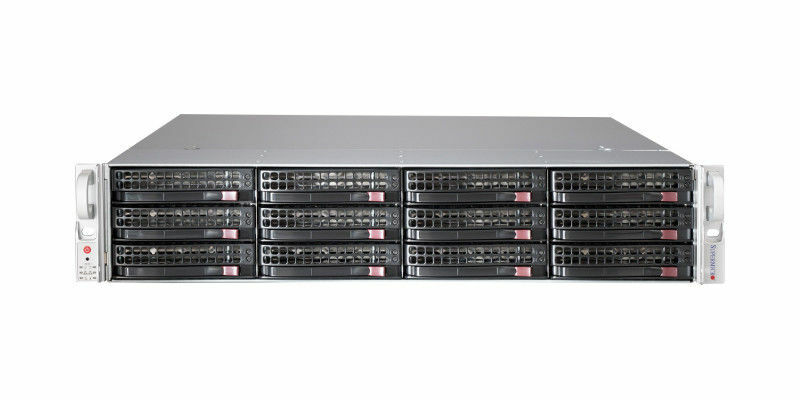 Server Chassis/ Case: CSE-826A-R1200LPB. NIC: Integrated Onboard Quad 1GB Ethernet ports (4). | eBay! 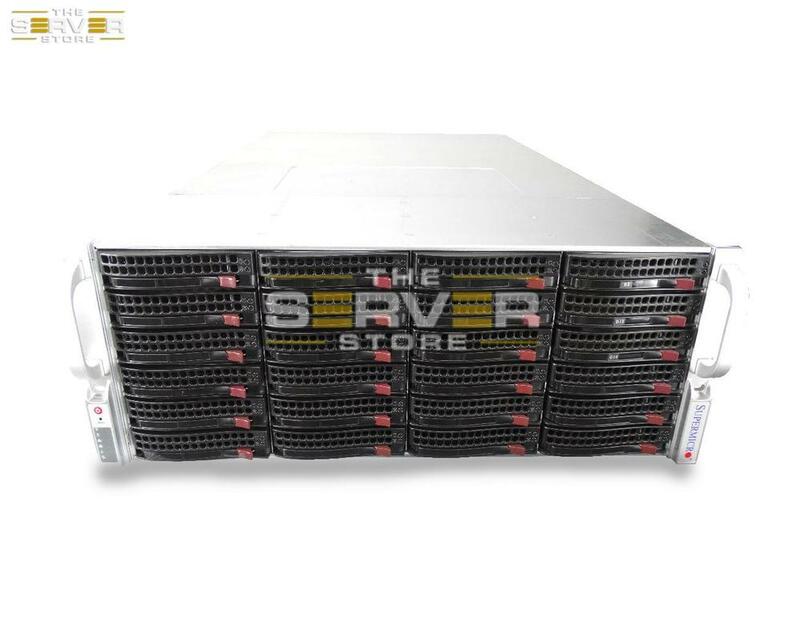 SUPERMICRO 6027R 2U BAREBONE SERVER W/ X9DRI-LN4F REV 1.20. 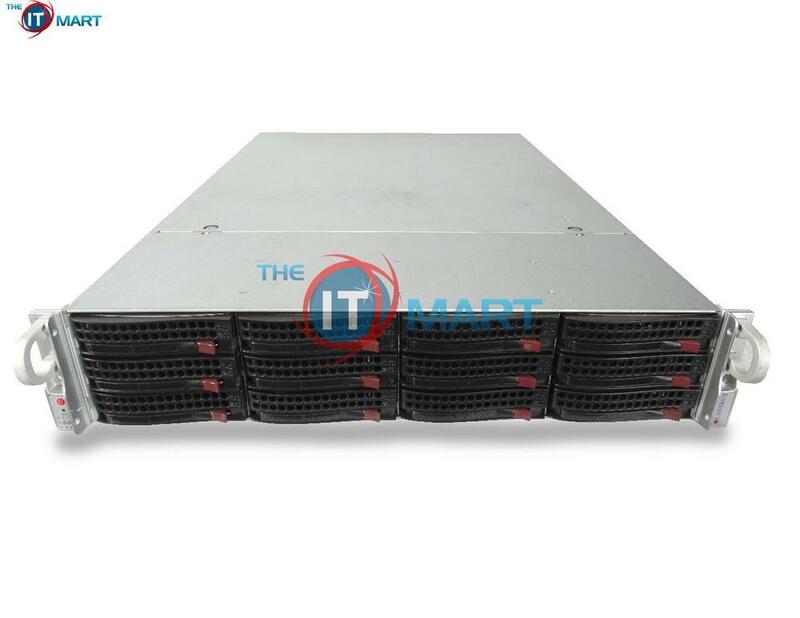 SYSTEM SUPERMICRO 6027R 2U BAREBONE SERVER W/ X9DRI-LN4F REV 1.20. HARD DRIVES 12x Trays W/ SCREWS. PROCESSOR NO PROCESSORS INSTALLED (2x HEAT SINKS). | eBay! 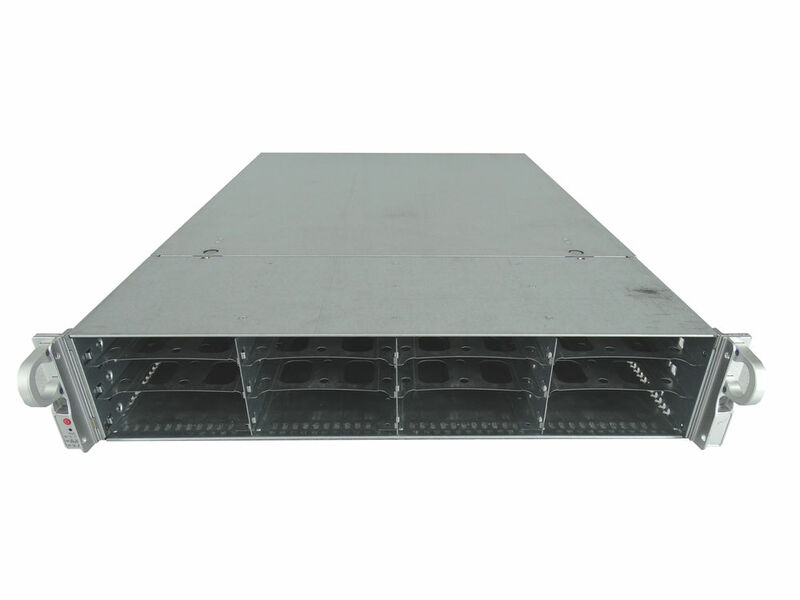 2U Direct Attached Backplane, features Server Parts. Barebone Server Chassis. Dual Socket B2 (LGA 1356). Form Factor2U RACKMOUNT. ModelSUPERMICRO CSE-826-X9DBU-iF - 12 3.5" Bays. • 12 SATA connectors. | eBay! SYSTEM SUPERMICRO 846E16-R1200B 4U BAREBONE SERVER X9DRI-F BPN-SAS2-846EL1. RAILS Generic Static Rails. CHASSIS 846E16-R1200B. SYSTEM BACKPLANE BPN-SAS2-846EL1. | eBay! so as im from the uk ive seen this not sure what you all think ? Am i on the right track? Model: Proliant DL380p Gen8. RAM: 64G (8x8G) 16 free DIMM slots. These servers have been removed from a Level 4 grade DataCenter. They have been set up and maintained by professionals. These servers are DataCenter Ready. | eBay! As Tom said, run FreeNAS on a separate Hardware as its not recommended to run in a VM. Your PfSense if its for testing ok, run in in a VM, if its for production, please consider a separate physical hardware. 2 SSDs of at least 240GB each. This is what I bought from Server Monkey here in the US and it works beautifully to follow Tom’s Videos and having VMs in which I can test and learn. Let me know if this helps you my friend. If you need anything else. Just comment and I can help. @brianh That would make a great VM host. My personal preference is to use v2 Xeon as they are a little more power efficient, but it really comes down to price and availability. It looks like your options are a little more limited over there, but you’re on the right track. I’m running a DL360 G5 and have no problems with running around 9 VMs and a pfSense VM. I’m going to be building up a FreeNAS box some time soon to compliment for storage (sometime in the next few months hopefully). And then later this year get another Proliant to start building my data center. Then next year (as long as the boss lets me) Imma going to double my storage and get at least another server so that I can play around with HA. Well finally got the server of the floor and working like a dream after many many hours of testing esxi xnp-ng proxmox and learning so much ? ?